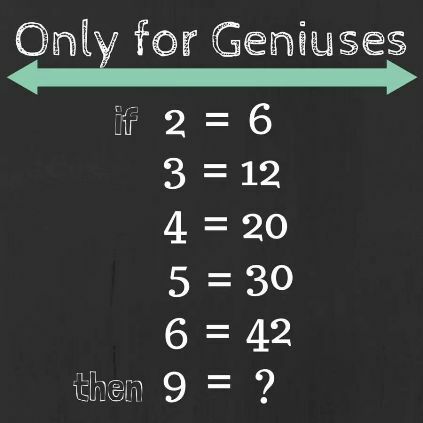 #4 – Only for Genuises! Follow the logic down the rows of numbers and then calculate the number in the last row. Don’t rush… think about it and enter your answer in the comments section below.